Premiere Air Colorado is available 24/7 for emergency repairs. 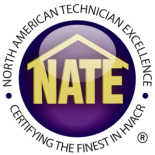 Routine maintenance for your furnace, heat pump, air handler or existing heat system is available by our trained technicians. We provide professional heating and cooling service that you deserve at a price and budget you can afford. Call us today in Denver at 303-993-9060 and visit us online at www.premieraircolorado.com to learn more about all our HVAC services.